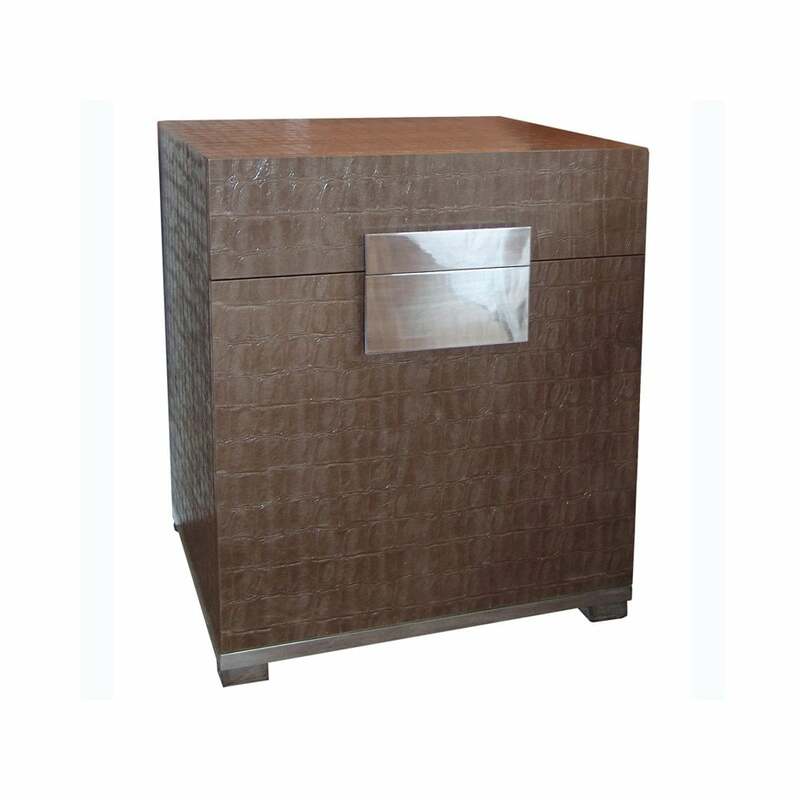 A contemporary leather storage cube shown in brown king croc, with chrome plate trim and feet. The hinged cube is finished internally with faux suede. As with all Simpsons' pieces, this bedside table has been handmade in England.